Brazilian Knots licensing- CEO Natural Fusion(SM) training in permanent Brazilian knots is one of the most sought after techniques. Superior and longer lasting than other techniques currently available on the market. Brazilian knots training and licensing. 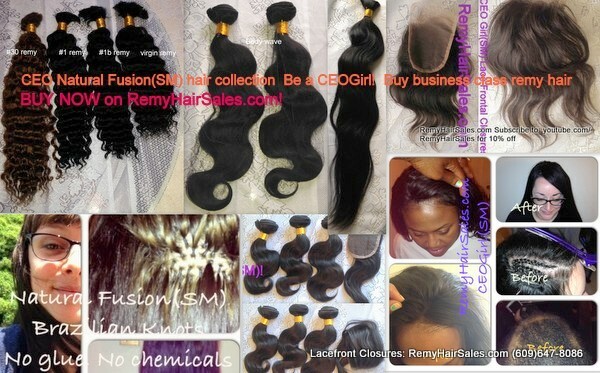 Learn the right way to install permanent Brazilian knots and earn more today. What is your future worth to you? Brazilian knots training gift certificate- how to do Natural Fusion(SM) Brazilian knots- full head with bangs. By Kaale. Does not expire, use within 1 year. Receive certificate of completion, any additional update to my technique and assistance with your business as needed. Prefer monthly payment invoice instead? It is available- see About Us section for contact info or call. Brazilian knots training gift certificate- how to do Natural Fusion(SM) Brazilian knots- partial install. By Kaale. Does not expire, use within 1 year. Receive certificate of completion, any additional update to my partial install technique, and lifetime assistance with your business as needed. Prefer monthly payment invoice instead? It is available- see About Us section for contact info or call us. Brazilian knots training gift certificate- how to do Natural Fusion(SM) Brazilian knots- full head non surgical. Gift certificate does not expire, however we recommend using it within 1 year. Receive in your inbox, immediately printable once payment is completed. Receive certificate of completion and lifetime assistance with your business as needed. This Brazilian knot technique is highly favored among hair replacement service providers like Hair Club for women. Monthly invoicing option is available. Its available- see about us section for contact info.